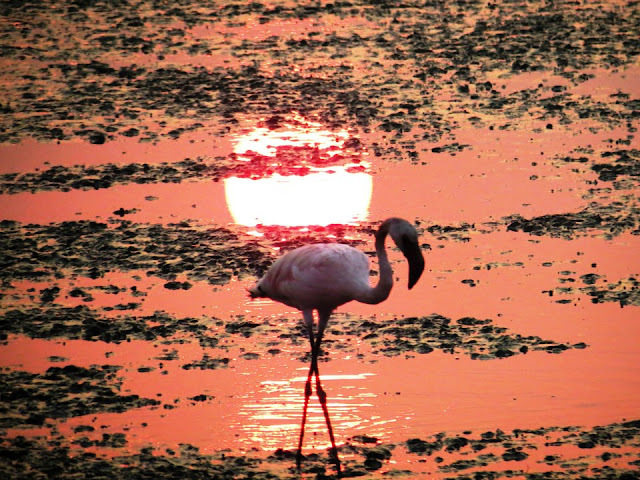 We have been planning to visit the winter guests of Mumbai for last few years. This year finally we could! Thanks to a bulleteer mate – Vikram Pai aka Untamed. We planned it on Whatsapp and visited Sewri Mudflats for a rendezvous with the guest birds – Flamingos. 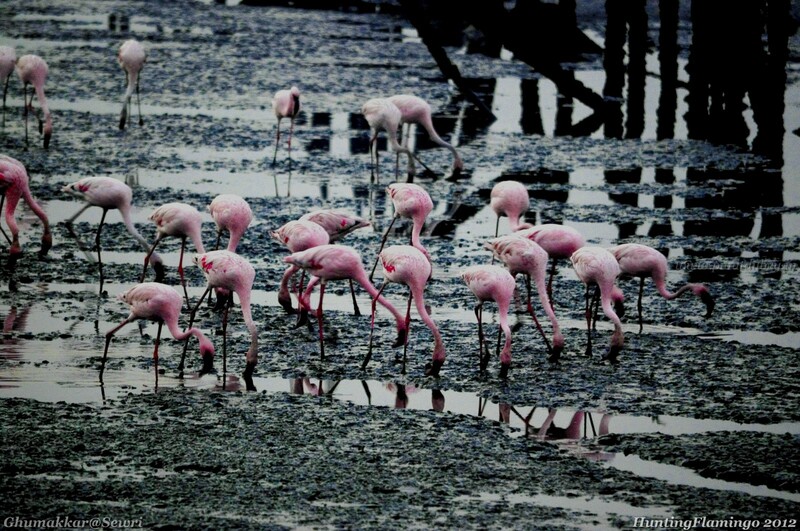 Scientifically, these are Lesser Flamingos or Phoenicopterusminor, the smallest species of flamingo. It mainly occurs in Sub-Saharan deserts and Runn of Kutch. 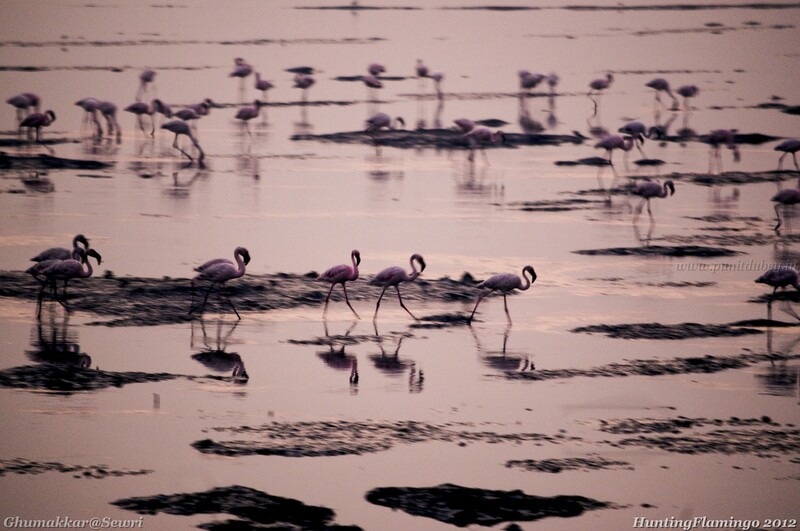 Annually, thousands of Flamingos fly in to the warmer mudflats of Sewri, Mumbai to avoid the harsh winters of their breeding habitat in Rann of Kutch, Gujarat. A lot is still to be done to study the main reasons (winter, food-few of them) and their possible routes. Their general stay at Mumbai (Sewri mudflats, Thane/Airoli/Vashi creeks) spans October-March, though it depends on the arrival of winters in Kutch and also on the ability of baby-flamingos to fly. 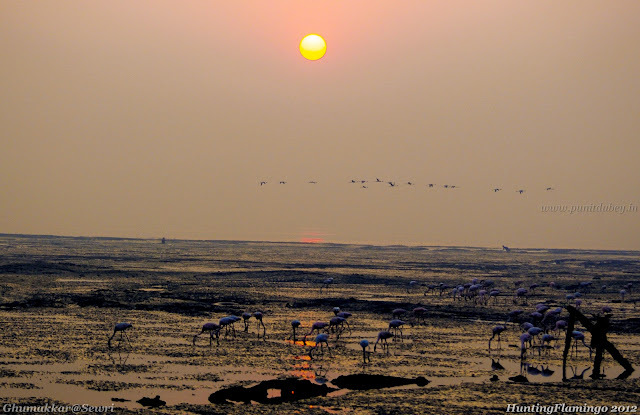 Bombay Natural History Society (BNHS) and few other NGOs are working hard to get these locations protected as Ramsar sites. 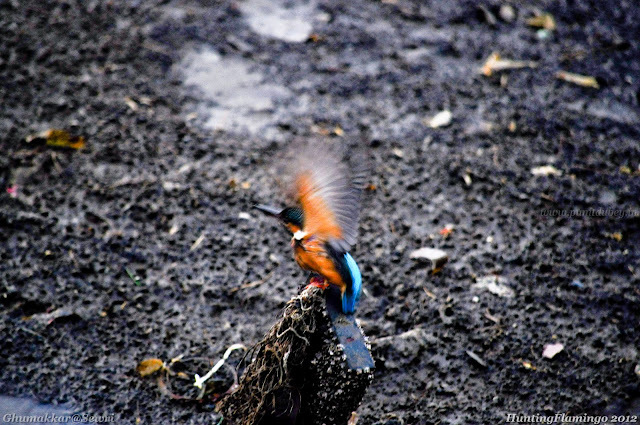 Birdlife International has identified areas in Thane and Mahul-Sewri creek as Important Bird Areas (IBA). Government is still to recognise this importance of this zone. to all those who are planning to visit this site is not to flaunt what vehicle they are driving/riding and respect the Migratory birds as they respect a guest. Mudflats are already too dirty; please don’t dump wrappers etc there. Government may someday wake up and do their part, but that doesn’t stop anybody to help keep the place clean and protected. Respect birds’ privacy and enjoy their natural trail. We visited the place before sunrise, but I personally feel it’s not the right time for amateur photographers unless they are carrying low f-stop lenses. 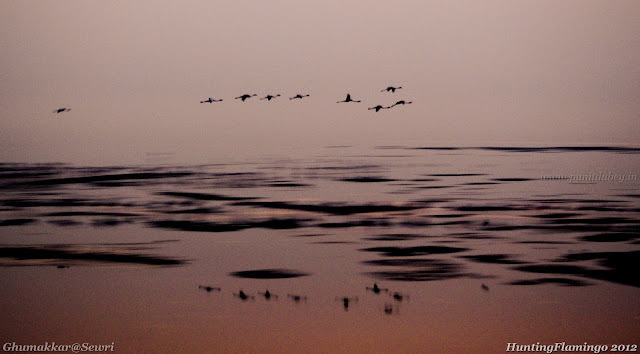 Scarcity of light and dull ambiance makes photography difficult in early hours. Suggest to reach the place at sunrise time and wait till it rises enough to lit the area well enough for perfect shots at high shutter speeds. So shy they were, Everytime I shouted 'Cheese" they put their heads in mud! 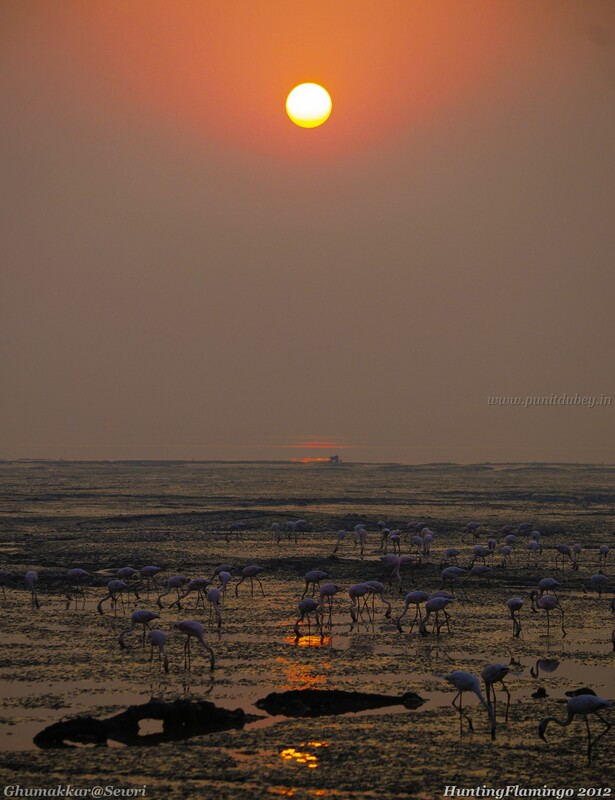 The mudflat is near Sewri jetty and can be Googled. 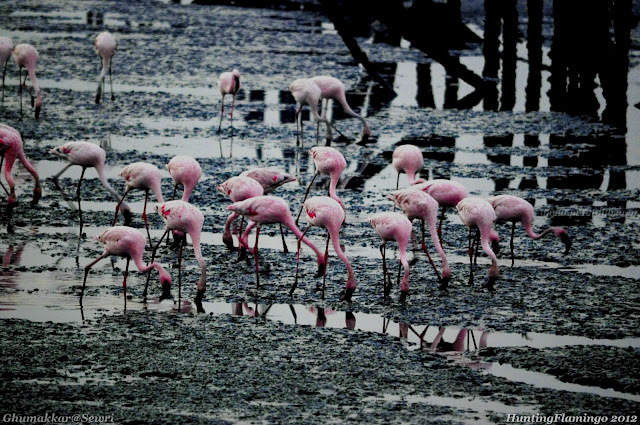 Don't search for 'Sewri Mud flats', it's 'Sewri mudflat'. Route is tricky, so its better to ask local people for directions. It's at walk able distance from Sewri local station, and one can drive or ride too generally up to the Jetty. Though policemen didn't interrupted us, few peoples/blog report that they may.